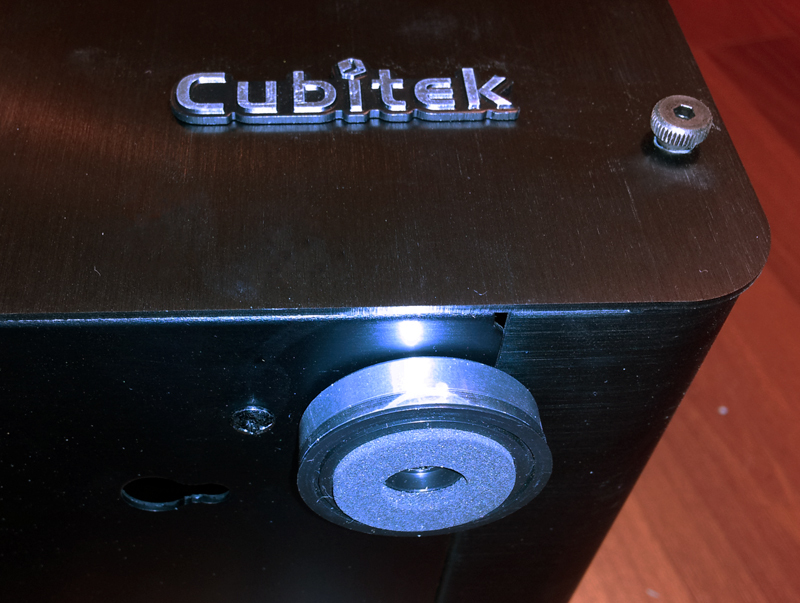 Cubitek… not too many people in our audience know the name, but that’s about to change. 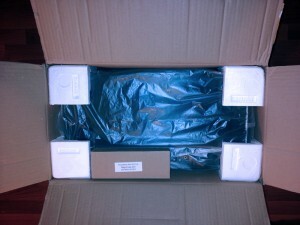 The company has been around since 2002, but was originally focused on OEM work. In 2010, they reorganized the business and started producing some pretty ingenious cases. 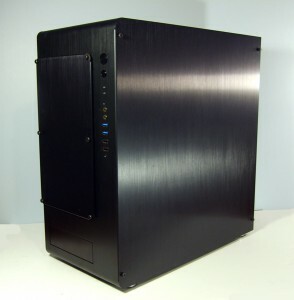 I’ve had my eye on them for a little while now and am very excited by their latest crop of all-aluminum cases. In this review, we’re looking at their latest incarnation in the Magic Cube series, called the AIO (All In One). It’s an all-aluminum case with loads of potential. 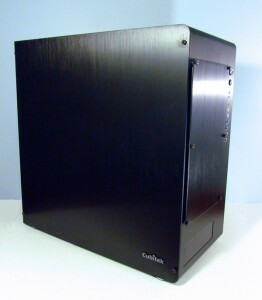 If you’re familiar with Cubitek, you will know that the Magic Cube series is an attempt to isolate the computer components into their own cases; a case for the motherboard and PSU, a separate adjoining case for the HDD’s, and finally a case for the Optical Drives. 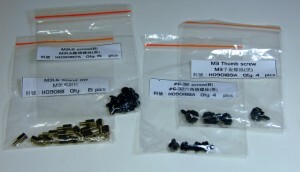 This approach has quite a few advantages as it would eliminate heat transfer and ease serviceability to the components. The only problem… it takes up a lot of room. With the AIO, they modified this approach, by getting rid of the excess and stuffing components in clever places. It is touted in Cubitek’s literature as being, “The world’s smallest case supporting an EATX motherboard.” Let’s get this show on the road and see what it’s made of. Pulling the case from the shipping box the first thing that crossed my mind was, “Wow, this thing is LIGHT!” And it really is.The Styrofoam was a little sparse for my tastes, but the case itself was unscathed so it did its job. 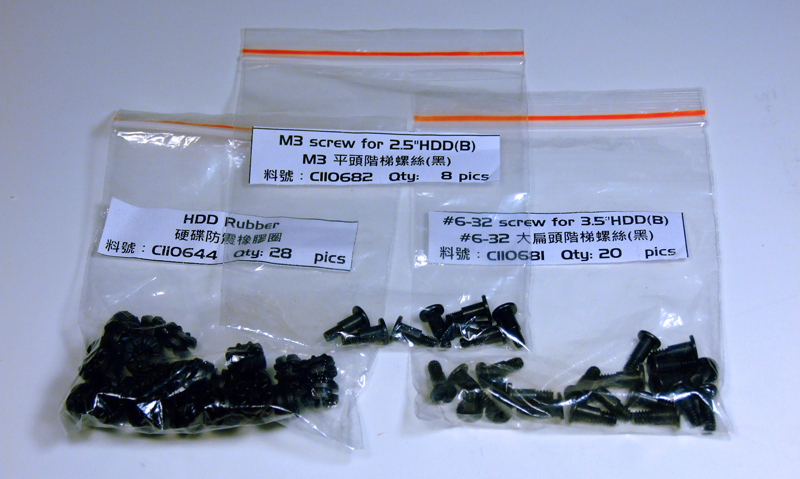 You get a large assortment of clearly labeled bags of hardware (which is a very nice addition… little stickers that say what they’re for? Other manufacturers please take note of this genius idea). You also get a speaker (or buzzer as they call it), a small Allen wrench, and an installation booklet. The case has an interesting look to it. Without the run of the mill, external bays you tend to take a moment to look at it and take in what is going on. There is one 5.25″ bay and it is cleverly disguised at the bottom of the front panel. There is a plentiful assortment of I/O options down the right side of the front panel, along with what appears to be a large solid rectangle panel… odd. It’s not ugly, it’s just… different. 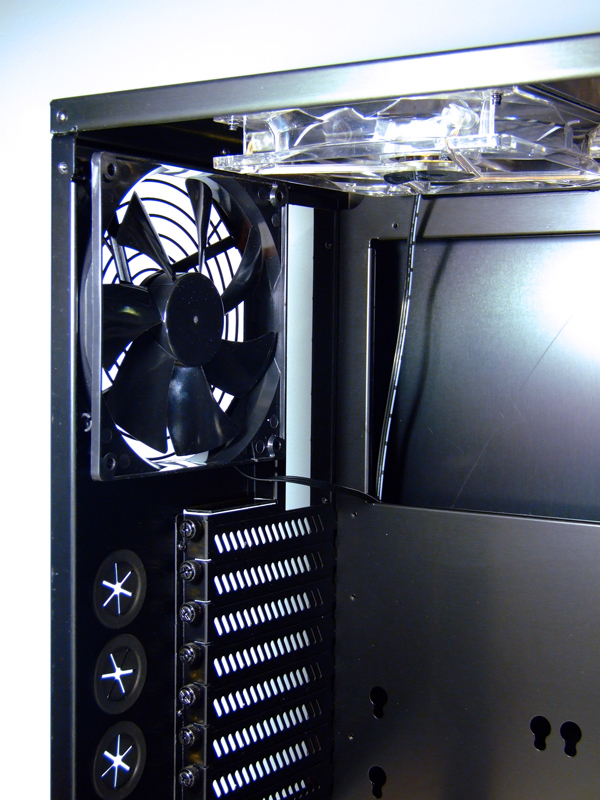 That rectangle panel is on small stand-offs and covers two 140 mm filtered intake fans. 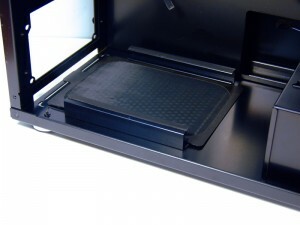 The case itself stands on foam padded feet. 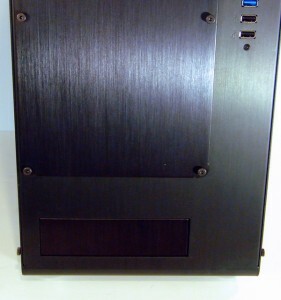 At first glance the rear of the case appears to be quite standard… until you notice the provision of 4 water-cooling holes. These are no ordinary holes; they take ½” tubing EASILY. With a slight amount of work I actually got my Koolance ½” Quick Disconnects through them… more on that later. So what do you do with 4 holes? Multiple loops of course, Overclockers.com loves excess and this type of provision makes me giddy. 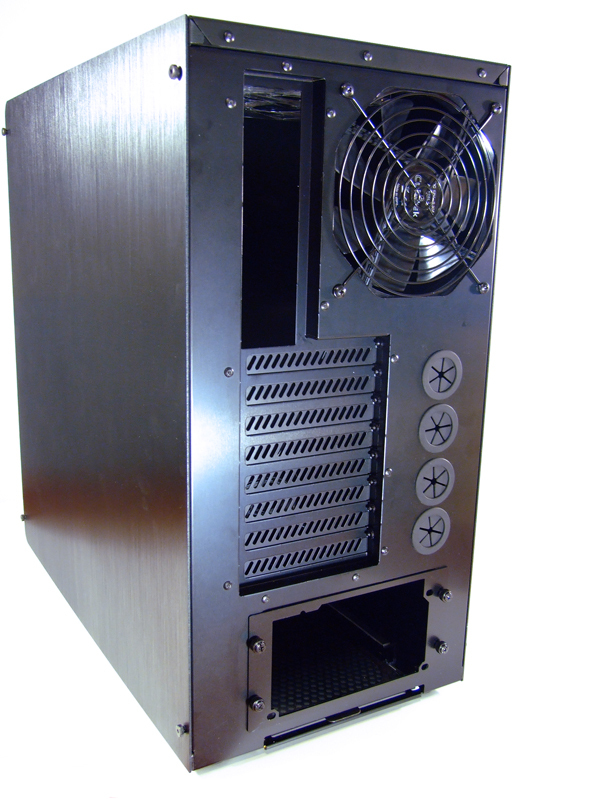 You can easily accommodate separate CPU and GPU loops, or even separate CPU loops for dual CPU systems, because an SR2 will easily fit in this case. 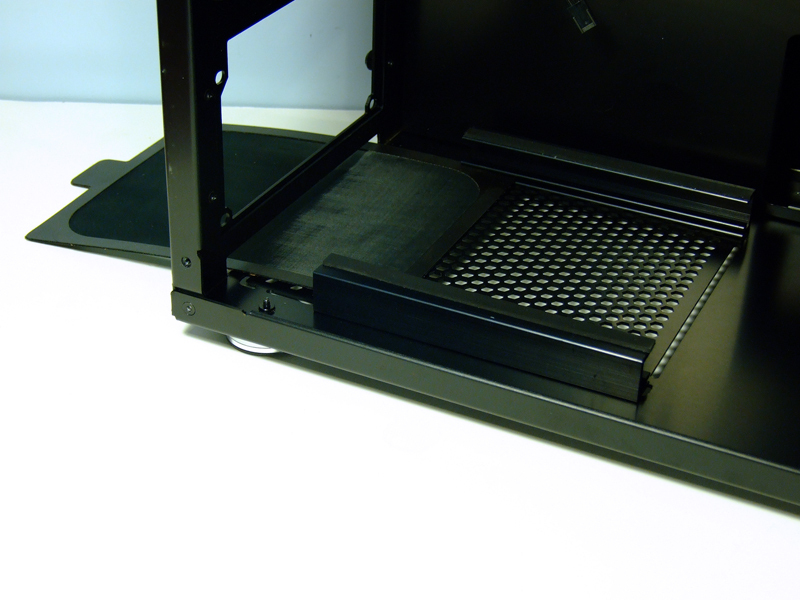 The external optical drive mounts in a small cage that is located directly across from the bottom mount PSU, At this point you may be asking, “Where do I put all my SSD’s/HDD’s?” The answer… EVERYWHERE! They provide mounting hardware and rubber grommets for 2- 2.5” drives and 5-3.5” drives. As you can see from the pictures they mount in a multitude of places. 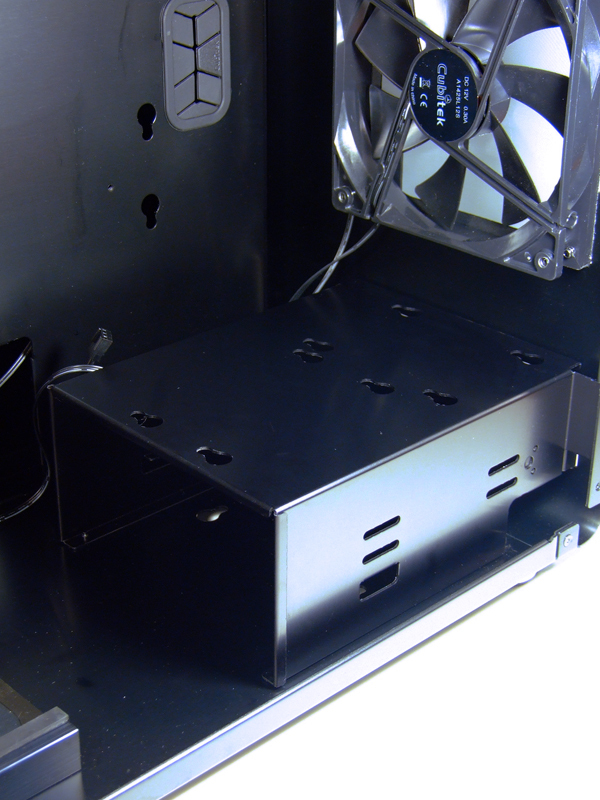 Many hang from the back of the motherboard tray, while two can mount on top of the optical drive cage, and one can be hidden beneath it. I have to say that I absolutely love this approach. Without any of the drive cages to weigh it down, it is literally a motherboard tray, two thin side panels, the perimeter shell, and 4 fans. Don’t forget it is all aluminum. The PSU mounting area comes equipped with its own filtered vent along the bottom, as well as a removable mounting plate for ease of installation. 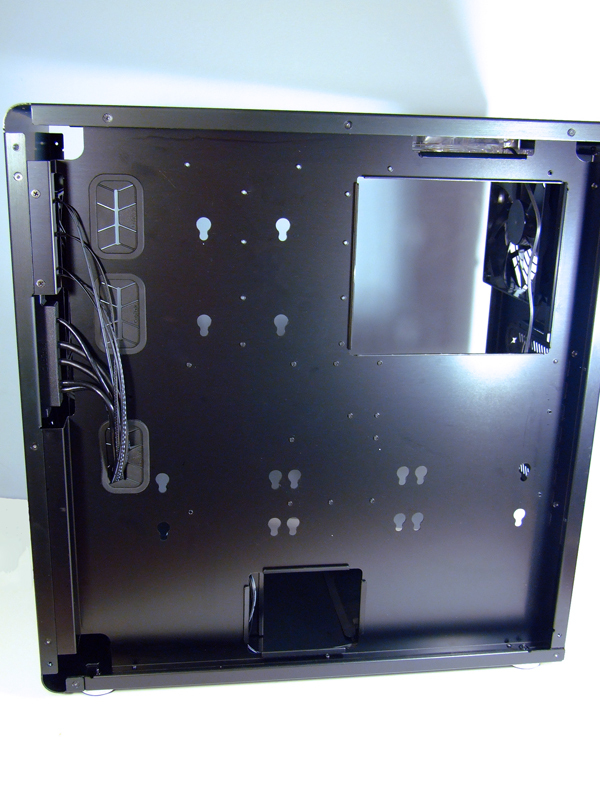 The motherboard tray contains rubber wire grommets, and plenty of room for cable management. The only aspect of this case that is larger than other cases I’ve worked with in the past is its width. It’s not overly wide, but it is noticeable. 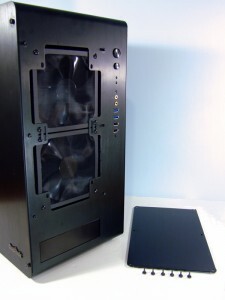 Air movement comes in the form of four 140 mm fans, three intake and one exhaust (Personally I would reverse the top mount fan to an exhaust fan, but that’s just me). 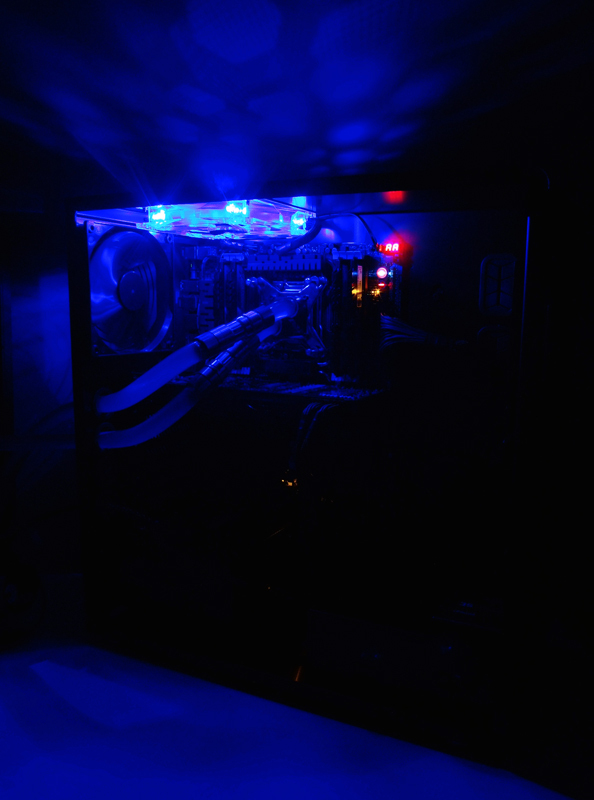 The top mount “intake” is a blue LED fan. I’m not much for bling, so that gets a “meh” in my book… easily changeable though so no points off from me. The first thing that I have to say is that the weight and openness of this case make it extremely easy to work with. 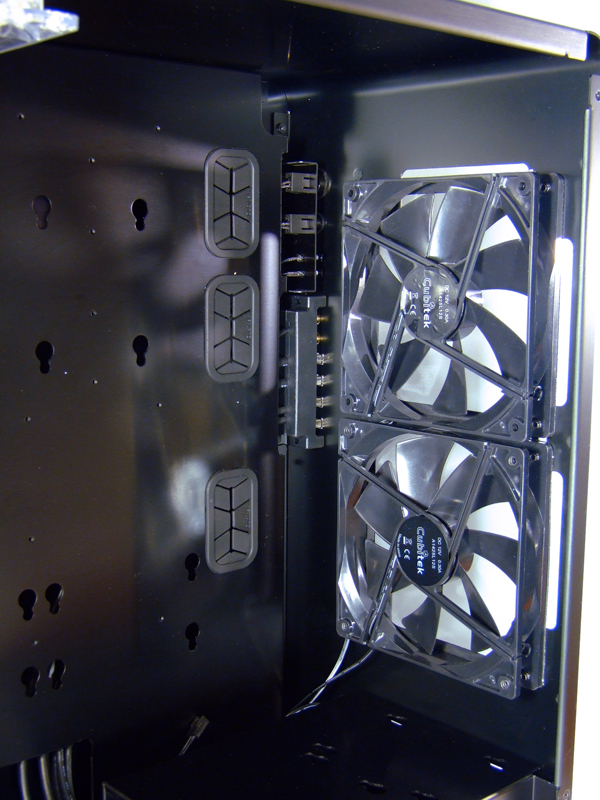 The side panels and front fan plate all come off with small thumbscrews, which can be torqued down with the provided Allen wrench. It’s not the quickest thing to take apart, but I think the look makes up for it. My points go to aesthetics over convenience in the case of the external panels. The exposed hardware gives it a nice industrial look, which I’m definitely akin to. 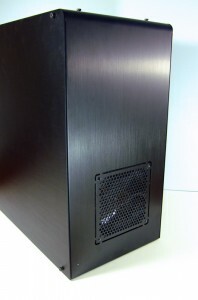 Once the panels are removed, this case is feather light. Upon removing the front fan plate I did encounter my first annoyance: the front fan filters are screwed in place with the fans… ouch. No points can be made for aesthetics in this instance; it will just be a hassle if you have to remove them to clean them. Lay it on its side and mounting up the motherboard is quite easy. 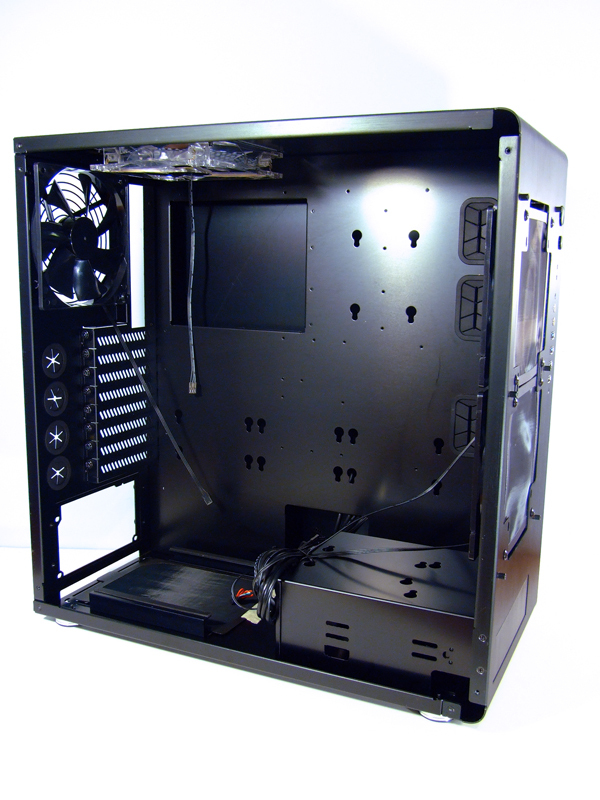 With the amount of motherboard size options this case can handle, simply pick your mounting holes and go. I do wish however that they would include a small standoff wrench or nut driver. It’s not that I didn’t have one in my tool kit from another manufacturer, but it’s the little things like this that can really keep customers coming back. Other customers may not have one so readily available, just food for thought Cubitek. Once they’re secured everything just falls into place. It’s a painless installation of the motherboard and GPU. 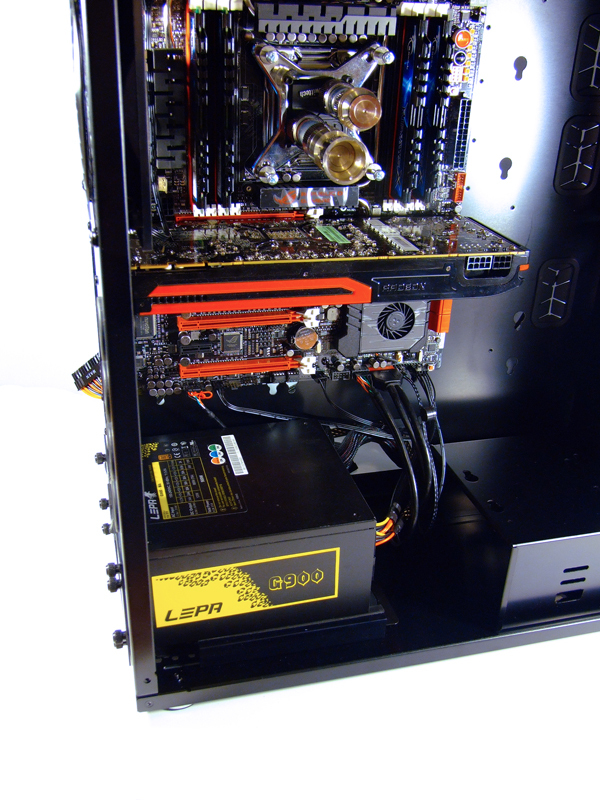 The PCI slot brackets are no frills, no fuss… however they do seem a little loose fitting. Potential vibration annoyance there… noted. 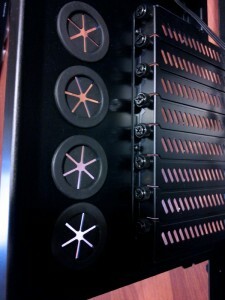 Hold on, all of the spinning drives are rubber mounted… unnoted. The PSU goes in nice and easy, even though you can remove the mounting plate, I prefer to just set it in place. 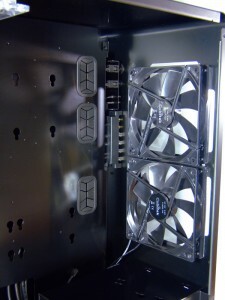 One notable thing near the PSU, the slide out fan filter for the PSU vent is quite flimsy. We’ll have to watch that. 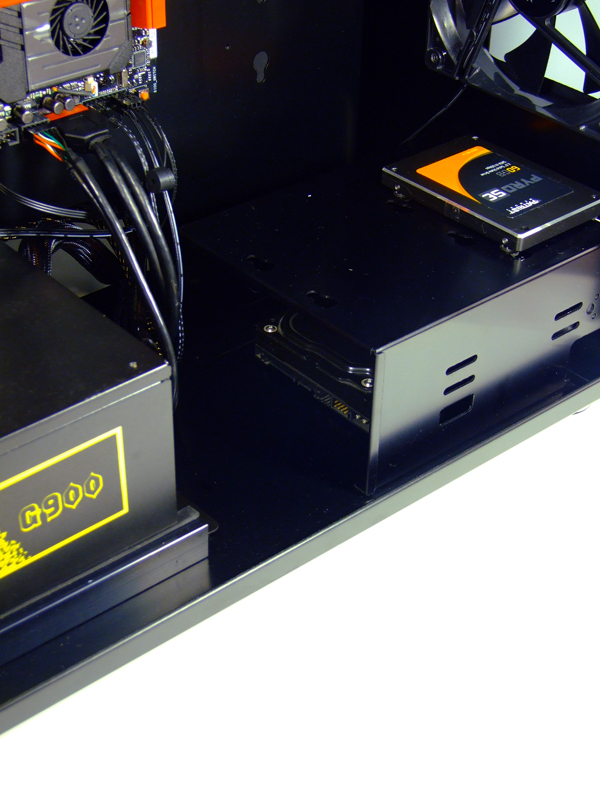 Drive mounting is simple. Mount the rubber grommets and pick a place to hang it. There are really only two locations setup for 2.5” drives though, even though it appears you might be able to hang them wherever. 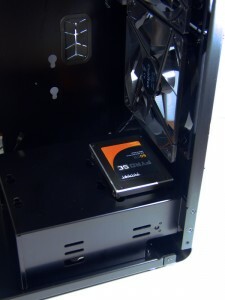 I’m running a RAID0 SSD setup so I need to utilize both of them. Let’s stick the 3.5” storage drive out of sight. Now onto the fun part, wiring. 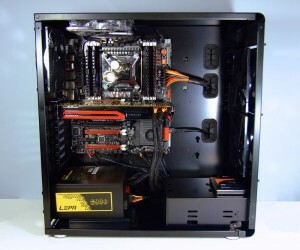 With the amount of holes provided, and the space behind the motherboard… it’s effortless. Cable management is a breeze. The 2.5” drive locations even wind up being close enough together that I can use one modular SATA cable to get them both operating… very nice. 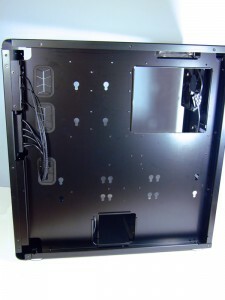 The front panel connectors are nice and straight forward. 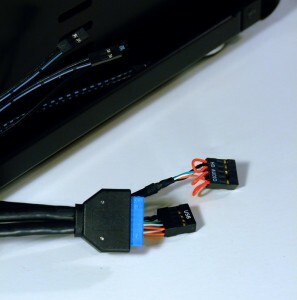 USB2.0, USB3.0, HD Audio, and the switch panel… wait a minute… two connectors labeled Power SW. A little wire tracing identifies the correct wire, probably just a little human error on the assembly line. No big deal for me, but definitely something for Cubitek to check on. Oops... might want to check that out Cubitek. 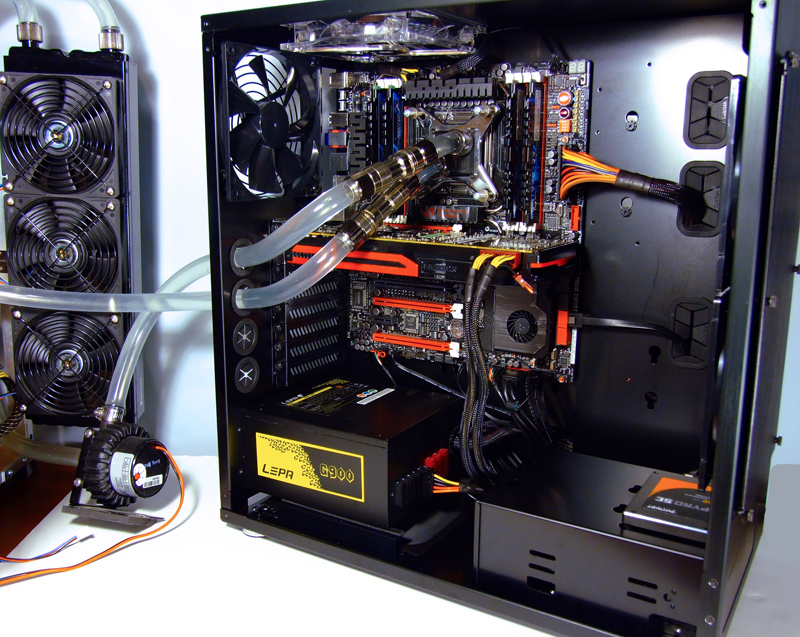 As you can see, my cooling is being provided by my benching station water loop. 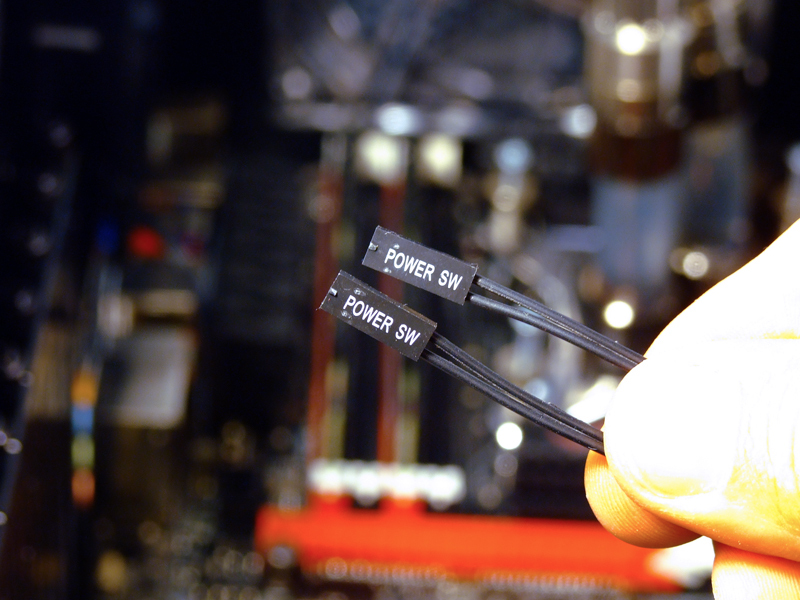 This required passing the ½” Quick Disconnects through the water cooling holes. It ended up quite simple actually; pop the grommet out, squeezing it through, and making the connection. All complete and ready to go! All ready to go. 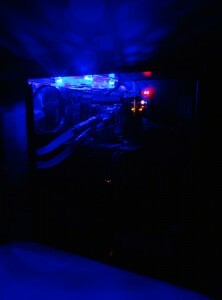 There isn’t much in the way of bling for this case, they do however supply one blue LED for the top 140 mm. Let’s fire it up and take some pictures. 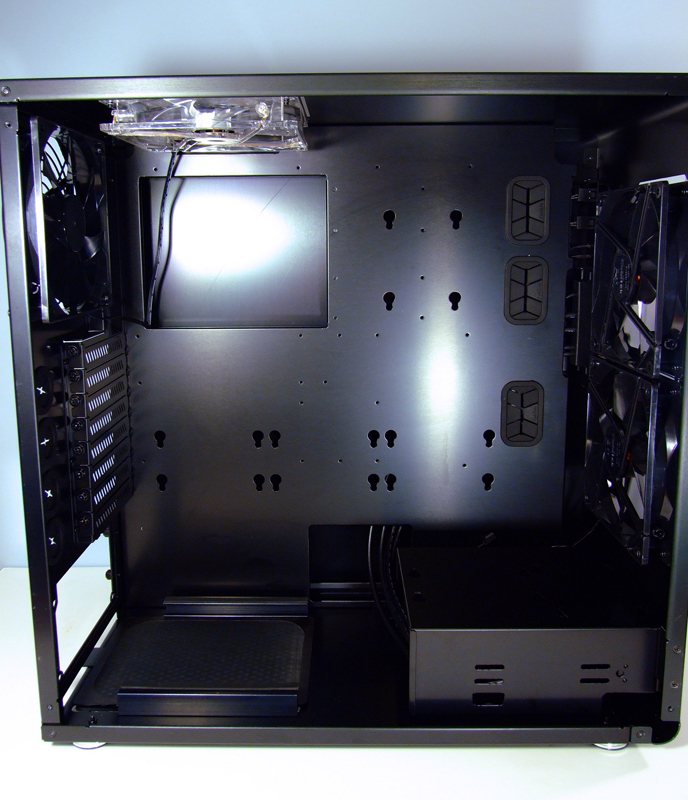 Space galore, listed up to EATX motherboards, but will actually take an HPTX dual socket board. Did I mention it was light weight? Editor’s Note: This case actually does not support HPTX boards. 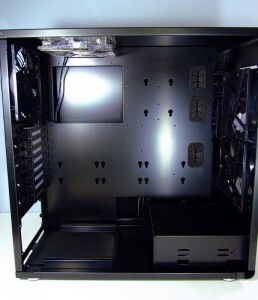 It would need to have space for 9 expansion slots. All in all, this is a great showing from Cubitek. Despite a few little cons this case is simply stunning, and a nice step away from the norm. I cannot wait to see what Cubitek has up their sleeve for future cases; hopefully they keep up their innovative streak. It’s great to see a company that is actually thinking like a modern enthusiast consumer. 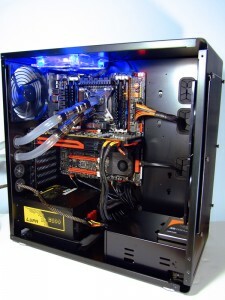 With a few adjustments this case would be absolutely perfect. Their build quality is almost on par with the best of the best. A little more refining and they can easily achieve the same level of success as some of the more notable all-aluminum case manufacturers. 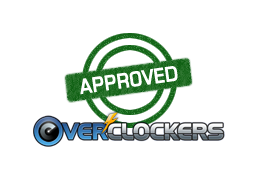 It is definitely Overclockers Approved! Thanks for the writeup Nick, I like the drive mounting setup a lot - makes the inside of the case look airy and spacious! Also allows the front intakes to remain nearly entirely unobstructed which is pretty rare. i like the big feet on the bottom and the rubber grommets in the back. Funny about those power switches wonder how that snuck by quality. I love it. I was all ready to start coming up with an excuse to feed my wife but then I noticed only one top 140mm fan hole? Front 2x 140 and top 2x140 with the layout here would be choice for a fatty all internal LC setup. Thanks guys. I really liked this case the moment I saw it. Pricing might be a bit steep though. I've heard $279 give or take, which is getting into NICE full tower territory. We'll see when it's released for sure. Whoa, $279 personally makes me throw on the air brakes and pay a lot more attention to the finer details. 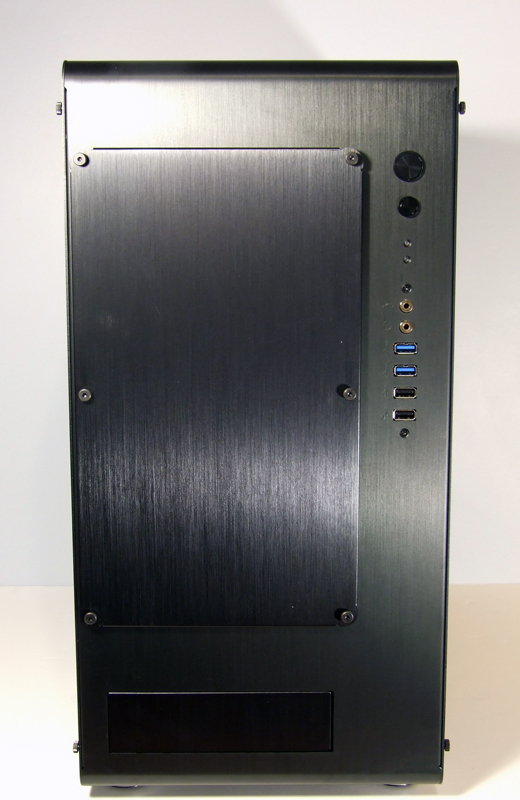 It is a really nice looking case, it does fit EATX boards, and it does have a nice approach with the drives and clearing up the front intakes. But it isn't anywhere near tool-less, and the filter in front needs fixed - a filter that isn't easily cleaned isn't much good. That shouldn't be too hard to fix though - magnetic fan filters would do the trick, and they'd just need to put a steel frame around the fan mounts to give the magnets something to stick to. Thanks for writing the review. I have had an eye on cubitek and love them for whatever reason. They are on the pricey side though. I do feel the need to ask one question though http://www.youtube.com/watch?v=8UUVgWSoVBg is this the same case? I was looking at the modular magic cube and they had an order feature to allow you to order two different versions of the magic cube. They got a site redesign and it doesn't seem like the same case. Nor are the images the same. 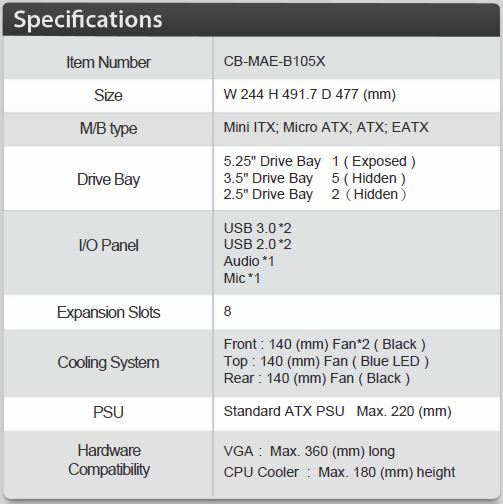 Pretty much deciding between the reviewed case or this http://www.newegg.com/Product/Product.aspx?Item=N82E16811147107 which a pretty large price difference. 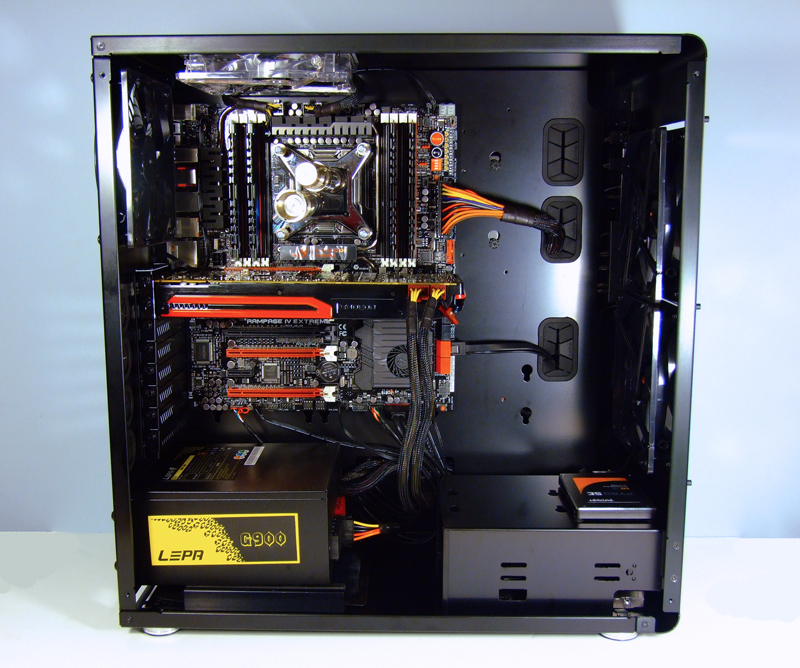 The newegg one isn't exactly up to date but it would work for my use. On the other hand something about cubitek I like and I want to support them. I feel very similar about cubitek, there is something about them that I just want to see succeed in this market. The case from the Youtube video is the original Magic Cube. I made a slight reference to it in the review, but you are correct in finding the similarities. 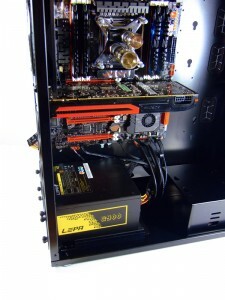 They basically took the motherboard and PSU section to that case and cleverly hid the rest of the components within it. While eliminating some of the often unneeded aspects. Their newly redesigned website appears to be almost completely up and running at this point. I incorrectly stated that an HPTX board would fit into this case. 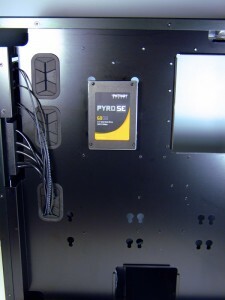 You actually need 9 expansion slots for the SR-2, even though there is room for it, the last PCI-e slot would not be functional. 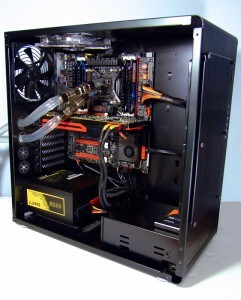 While the review was enough to show me that I want this case. It was also an enormous failure. 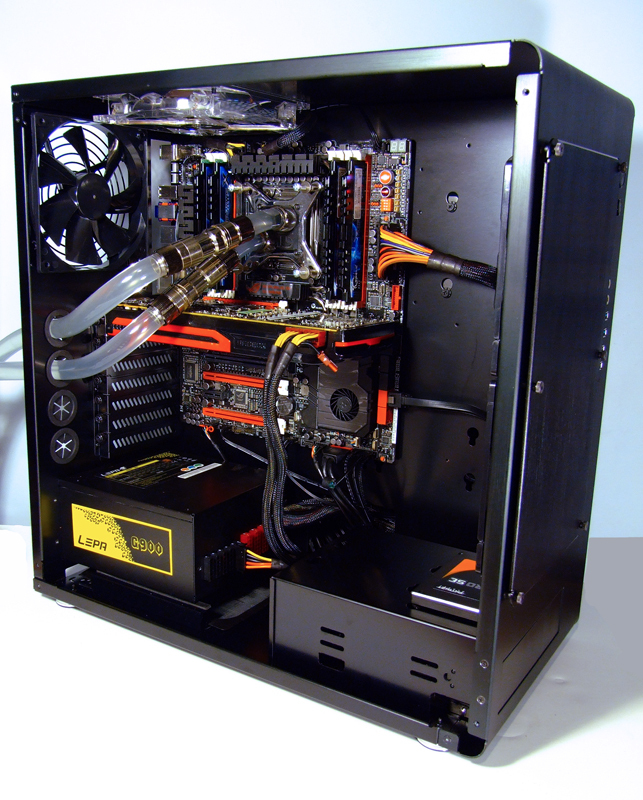 Hooking this thing up to an external cooling system does not show us anything really worth knowing about the case. 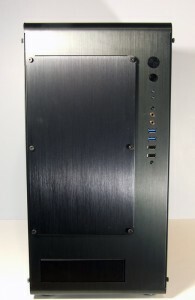 yeah you would think with the simplicity of this case, the price would be alot lower than it is, compared to cases with built in backplanes and stuff that list for around the same range. The design is spot on but the price point is gonna deter alot of sales i think.